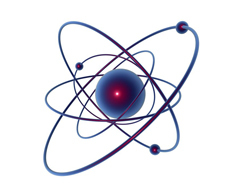 The first laboratory controlled splitting of the atom happened in 1932 when John Cockcroft and Ernest Walton focused a proton beam onto lithium and bust its nucleus. The era of nuclear physics was born. It was the first nuclear transmutation of one element (lithium) to another (helium) under full human control. 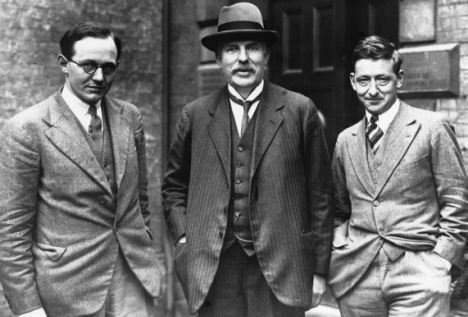 Working in a vacant room at Ernest Rutherford's Cavendish Laboratory at Cambridge University England, Englishman Cockcroft and Irishman Walton used spare parts along with some wood and nails to build the world's first nuclear-particle accelerator in 1929. Rutherford had split the atom in Manchester more than ten years before. He wanted more control over the particles used to penetrate nuclei. He directed Cockcroft and Walton to build a high voltage machine he called for "a million volts in a soapbox". The Cockcroft-Walton generator, a system of capacitors and thermionic rectifiers produced voltages around 600,000 volts. It wasn't a million volts, but it proved sufficient. The splitting of the atom was now a reality. On the 14th April 1932 Cockcroft and Walton measured the total kinetic energy of the helium nuclei. It was greater than that of the original hydrogen and lithium nuclei. But they also observed a loss in the total mass of the nuclei. This provided confirmation of Einstein's law (E = mc2). Cockcroft and Walton received the Nobel Prize in Physics in 1951. The discovery of Nuclear Fission led to many types of experiments, not least, the Atom Bomb.